Andrea Grillo, the liturgist who is heard by Pope Francis, prefers to dispose of Summorum Pontificum today rather than tomorrow and is looking for crown witnesses. (Rome) In the spirit of its political analogues, the ecclesiastical left demands the end of freedom. The liturgical scientist Andrea Grillo, a dogged opponent of the Motu proprio Summorum Pontificum, who finds an open ear in the Italian Episcopal Conference and in Santa Marta, is calling for stricter access to the traditional rite. The free exercise of religion for believers and especially priests of the tradition should, according to the liturgist Andrea Grillo, be restricted. As reason for his demand he identifies the Motu proprio Summorum Pontificum, that of Pope Benedict XVI., adopted in 2007. Summorum Pontificum, which have a homeland to the traditional form of the Roman rite, leads, according to Grillo, to an "ever more paralyzing embarrassment" in the Corpus ecclesiae, which is why it urgently needs a return to a unified rite - and that could only be the Novus Ordo. Andrea Grillo teaches liturgical sciences at the Roman Pontifical Athenaeum Sant'Anselmo of the Benedictine Order. He is not an isolated gambler, but is much appreciated in Santa Marta as a kind of "house liturgist" by Pope Francis. In mid-2017, he attacked Cardinal Robert Sarah, Prefect of the Roman Congregation for Worship and the Order of the Sacraments, with unbelievable severity. He insulted the Cardinal for being "incompetent" and "unsuited" for his office. At the same time, he accused Benedict XVI, whom he called only "Ratzinger", of being the cause of the Church's "failure". The wrath of the Novus Ordo liturgist was challenged by Cardinal Sarah's persistent call to all priests to return to the East or ad Deum celebrations, as well as Benedict XVI's. ordered reform of Missal translations in the vernacular languages. Grillo is a key figure of the inner-Church secret commission that Pope Francis established in late 2016. He works behind the back of Cardinal Sarah, the prefect responsible, but with the consent of Pope Francis at an "ecumenical Mass". It would be the definitive "liturgical revolution" after the radical liturgical reform of 1969, as Riccardo Cascioli, the editor-in-chief of Nuova Bussola Quotidiana, wrote in June 2017. The existence of this commission, which was revealed by the Vatican Marco Tosatti on December 26, 2016, has not been confirmed by the Vatican, but denied at the end of 2017. The corresponding rumors and hints persist, however, and do not allow any reasonable doubt as to the existence of this liturgical commission. In January 2017, Spanish columnist Francisco Fernandez de la Cigoña even revealed the names of the commissioners - including Andrea Grillo. Grillo is one of those in the papal entourage who is worried about a "renunciation of renunciation." What if Benedict XVI, who has continued to maintain his pope's name and numerous visible signs of papal dignity, resigns from his resignation and reclaims his powers as pope? Such an option seems increasingly unlikely due to age. Nevertheless, Grillo hinted at what might happen if Pope Francis was to die and to be replaced by Benedict XVI. The fear of a possible reaction of Benedict drives the liturgist, to ever new, increasingly explosive attacks. Nothing will change that as long as the German church leader lives. and shame. The people destroy the Church and its deeper nature. The Christian does not fight anyone. He has no enemies to defeat. " At the same time, he emphasized that before and after the Council, the Church was and always must be the same Church, because there is no Church with two identities. Italy has always been a hard patch for the traditional rite. There are several reasons for this. The Italians as a Mediterranean people are quite emotional, but not dogmatic. In addition, the bond with Rome is a matter of course. The change from Vetus to Novus Ordo was correspondingly untraumatic. And corresponding difficulties are encountered by the faithful of the traditional rite for obtaining Mass locations. The bishops are largely deaf to their wishes. There is also another factor: the massive presence of a strictly Moscow-based Communist Party and another galaxy surrounding other Marxist parties and organizations after the Second World War made a part of Catholicism eager to seek an alliance between socialism and Christianity and to accept the corresponding politicization. As a result, the Catholic world and its institutions have gradually been interspersed and disintegrated since the 1960s. This alliance became apparent when, on 1 June 2018, the new Italian government of the Five-Star Movement and Lega was sworn in. They took power, like family minister Lorenzo Fontana. Andrea Grillo lunged at him with incredible vehemence. What makes Fontana the hate object of a liturgist? He is opposed to abortion, mass immigration, gay marriage, gender ideology and visits Mass every Sunday in the traditional rite. "One of the requirements for Fontana's fascism is Summorum Pontificum. 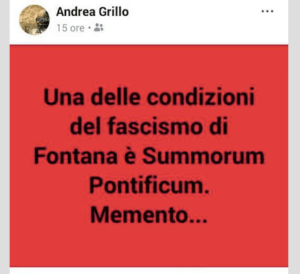 Memento ... "
In other words, the "home liturgist" of Pope Francis sees Summorum Pontificum as an expression of "fascism" and implicitly also Benedict XVI. as "fascists.” Grillos' verbal derailment reveals the radical nature of the unholy fusion of left-catholicism with the left-leaning left - especially in the language. The fact that he was not condemned or even reprimanded by the episcopal side or by the university where he teaches, clarifies the drama of the inner-church situation. "The hatred of the elites does not scare me." In recent months, the attacks on Summorum Pontificum in Italy have become more conspicuous, so conspicuous. It is unclear whether this is an organized thrust. Recently, Andrea Grillo also participated in this with an essay on his blog. The blog Come se non, parked on the website of Munera - a European Cultural Magazine, highlights how pinned Grillo is to the enemy image of the Summorum Pontificum, to which numerous entries are devoted. On February 18, he led Hans Urs von Balthasar as a witness for the necessary and legitimate "end of Vetus Ordo" in the field. 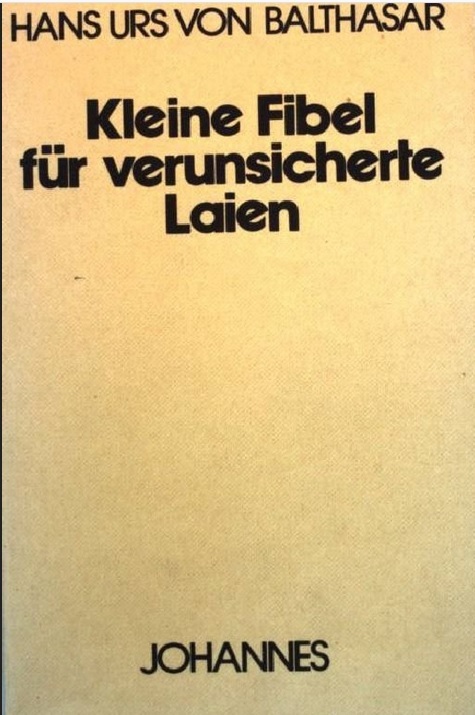 In his book "Little Primer for the Unsettled Layman," published in 1980, Balthasar states "with great clarity" that the traditional rite "was definitively overcome by the liturgical reform". Balthasar writes that against all criticism of the "traditionalists", whom he accuses of "sectarian" behavior, everything ultimately speaks "for the Council Church and against the traditionalists.” The Holy Mass required an urgent renewal, especially the participatio actuosa of all believers in the sacred action, which was a matter of course in the first century. The Roman canon had remained unchanged and Communion received while standing in the hand was common until the 9th century. Traditionalism, on the other hand, does not lean on living theology and philosophy, and for that very reason it can not claim validity today. Balthasar refers to the view of various theologians, including Joseph Ratzinger, that the traditional rite could have survived a transitional period parallel to the Novus Ordo, but then dissolved in an "organic" way and will would completely replaced by the New Rite. So far, these are some aspects that led Balthasar in his writing. Not only do they inspire Grillo, because Balthasar can not be dismissed as a "progressive", as the liturgist emphasizes in his remarks. It is likely to encourage him because Balthasar in his remarks is repeatedly called upon by the then theologian and Archbishop of Munich-Freising, Joseph Ratzinger. "If one hears the words of Balthasar again at an interval of 40 years, they point out the only possible way to get out of an increasingly paralyzing embarrassment." -The upswing of liturgical reform can not take place unless all work on a single rite. -Access to the previous rite is destined to extinguish, and can only be performed in exceptional circumstances, under the supervision of the locally competent authority. -The "development" of the new rite, with all the corrections and necessary promotions, can only be done at a "single table": there is no other possibility that forms two rites, one of which has arisen to replace the other, other than division, disruption and discord. 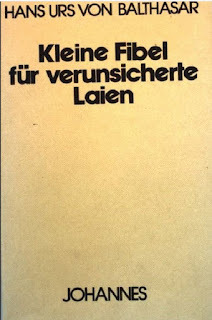 "He [Balthasar] knew already 40 years ago that the model of 'structural rite parallelism' was not an ecclesiastical rematch of the past versus the future, but the sectarian delirium of a past that has no future." It is "extremely worrying" that a man like Andrea Grillo is heard by Pope Francis, said in early 2017, the Spanish columnist Francisco Fernandez de la Cigoña. Only priests can confect the Blessed Sacrament. Imagine were cassock wearing justin welby (along w/Dr. Marshall Taylor, Scott Hahn and Gary Voris) to start using the 1962 N.O. missal. That's why it makes fascists (socialists also who put the state (the world) first)--just like the Anglicans and Orthodox. Without priests and without the faith, vetus ordo/novus ordoo makes no difference whatsoever--except to opus devils who want to think they're better than everyone else (that's why Ratzinger allowed it in 1989 and again in 2007 even as he was advancing VC2 and praying w/Muslims, Jews, Buddhists and protestants). VC2 one world religion w/everyone having their personal ordinariate (high/middle/low). Y'all might be happy w/that, but God's gonna vomit you out of His mouth. Grillo ain't the enemy: you who compromise the Truth (the same as the British who went along w/the lie of Henry VIII and Cranmer) are the real enemy. Grillo is indeed the enemy. The New Missal is indeed a significant problem, as is the program attempting to confab the Catholic Church with the gay disco ongoing at fruity places like Sant’Anselmo. The New Mass is the Mass of Cramner. Grillo appears to be a Communist - which rather suits Bergoglio. If that madness decides to block the Traditional Mass then there will be a complete Schism. What a disgraceful degrading of the office of Christ's representative on earth as he crawls around the ground like a big caterpillar. As mad as a mouse caught in a trap. Can no one oust him in God's Holy Name? the Church and the faithful need a Pope, not that imposter who is hell bent on destroying as much as he can. Is he possessed? It is OBVIOUS why they want the Extraordinary Form Mass restricted. THEY FEAR IT WILL RETURN THE CHURCH TO THE TRUE FAITH!!!!!! THIS David O'Neill is the entire story in a nutshell. Can't get any more 'in your face' than this. And then.....hidden cameras inside the Federal Reserve! This Grillo guy is a horror. Well, Tancred, if the Novus Ordo is the mass of cranmer: how do you know what host you're receiving when you attend the 'vetus ordo' in a novus ordo church which has a lot more of the novus ordo than the vetus ordo (are you gettin cranmer's piece of bread?). Seriously, i've never been to one of these commingled form churches, but do they use the same 'table' for both events--they just stand on one side for the vetus ordo and the other side for the novus ordo? Does the same priest (like Cardinals Pell and Burke and bishop schneider) say cranmer's novus ordo most of the time and then occasionally the vetus ordo -- and God comes down because they're wearin' a long red train? Grillo is not the enemy--the enemy is those who go along w/anything as long as they are getting what they want. We are here to serve God and to do His will. Where are the Vetus Ordo Novus Ordo Church members who are pressing for the restriction of the Novus Ordo? God says He prefers us to be hot or cold--the lukewarm He vomits out of His mouth. Imagine becoming a member of an Anglican or Lutheran Church because the minister was willing to let a Catholic priest say a mass there occasionally; or even worse becoming a member of such a church because that Anglican Lutheran would himself occasionally vest up like a Roman Catholic priest and say the J23 mass. For that, you all wouldn't insist he profess or teach the Catholic faith nor that any other member of the Church worship or profess the faith. In fact, YOU (and your so-called Roman Catholic priest) would pretend to hold and profess the Anglican/Lutheran N.O. 'faith'--going so far as to even worship w/them occasionally. 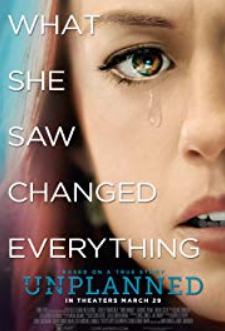 But God understands, right, Tancred? Grillo isn't the enemy. The enemy is you all who think you can get away w/giving God a second rate sham sacrifice. The words of the Bible are clear. You understand them as well as the protestants and N.O. who disobey regardless. Jesus' sheep do not follow false shepherds. They don't CONGREGATE w/them. Ever. At all. Anathema. John the Baptist could have said he wasn't going to give up his birthright, the priesthood. It was his Temple too and he wasn't giving up the fleshpots of Egypt, but was going to clean it out from the inside (blah, blah, blah). All the prophets and apostles could have done the same--but they didn't. They preached the gospel in the synagogues. They would not give up Jesus Christ. And they were thrown out, beaten, imprisoned, tortured, and martyred. "For the word of God is living and effectual, and more piercing than any two edged sword; and reaching unto the division of the soul and the spirit, of the joints also and the marrow, and is a discerner of the thoughts and intents of the heart." "Behold this child is set for the fall, and for the resurrection of many in Israel, and for a sign which shall be contradicted And thy own soul a sword shall pierce, that, out of many hearts, thoughts may be revealed." Don't miss the time of your visitation. I don’t engage in such navel gazing. What sedevacantist org, chapel, hotel meeting room, basement, etc... is the true Church? Even the SSPV prays for Bergoglio as Pope. I was under the impression that the SSPV is sedevacantist, except less dogmatic about it than some of the other sedevacantist groups, i.e, they don't necessarily think that people who disagree with their opinion on the post-Vatican II hierarchy are schismatic. But I would be pretty surprised indeed if the SSPV acknowledges Bergoglio as pope. They have always commemorated whoever was the apparent pope. I once heard a story about how some Indultarians happened to see the female parish administrator dump unconsecrated hosts onto a chalice, and toss it back into the tabernacle without so much as a “howdydo”. So the point isn’t lost on me about diocesan Indults. Actually, I’ve never been to one that was particularly reverent. 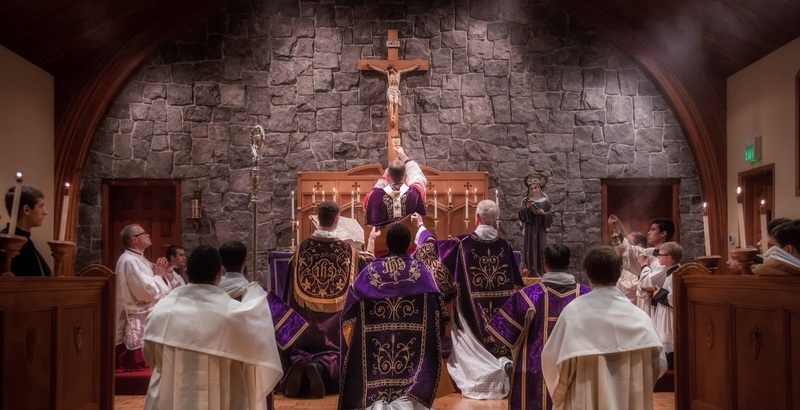 The SSPX liturgies far outshine Indult Clergy in that department. I suspect part of the problem is a lack of training. Traditional Catholics need to stop attacking each other. +Lefebvre himself was suspended in 1976 by Paul VI and excommunicated JP2 & Ratzinger in 1988 and died excommunicate. To me a key announcement was made in November 2018 that the differences between the Vatican and SSPX are doctrinal--though everyone who should know better has ignored it. This means schism. Many people (mainly opus devils) prance around saying the SSPX is in schism, but they will be judged by God as to who actually has lost the Catholic faith. It is obvious to all men of good will that VC2 bishops (the bishops that opus devil and FSSP support) are in schism from the Catholic Church. Therefore, praying during the official worship of the Catholic Church that one is one in faith w/pope francis or his bishops is anathema since they don't have the Catholic faith. "First Prayer of the Canon. Each Mass therefore benefits the whole Church, all the members participate in it; therefore they also are distinctly mentioned. In the first place, the vicar of Jesus Christ upon earth. The priest, when pronouncing the name of the reigning Pontiff, bows his head to honor Jesus Christ in His vicar. Next to the Pope's name comes that of the bishop in whose diocese the Mass is offered. Finally not to omit any one, the Church speaks of all the faithful adherents of the true faith. We must profess that faith to be included among those who are here mentioned. We must profess the Catholic faith which comes down to us from the apostles. The Church does not pray here for those who do not profess that Catholic and apostolic faith. The faithful children of the Church have a share in all the Masses which are offered in the whole worId. Were the holy sacrifice of Mass to cease we would immediately fall back into the horrors of paganism; this will be the work of the Antichrist at the end of the world. He will as Scripture foretells, do all in his power to hinder and prevent the offering of Mass; and when, with God's permission, his power shall have succeeded against the continual sacrifice then the days of grief will come, and God will ultimately destroy the world, there being no longer a reason for its continuance. This should not astonish us, since for God it is the sublimest work. He cannot ignore the voice of that blood' speaking a thousand times better than that of Abel. We must, with regard to the Blessed Eucharist take well into consideration these three things viz: the sacrifice, by which we honor God; the sacrament, by which Jesus becomes the nourishment of our souls; and the possession of the God-Man whom for our consolation we can adore during our earthly captivity. The sublimest of all is the sacrifice; and, when these three acts are united, they constitute perfection, and this is what the Lord desired when instituting the Blessed Eucharist. "I don’t engage in such navel gazing. What sedevacantist org, chapel, hotel meeting room, basement, etc... is the true Church?" If you mean by navel gazing, examining your conscience, I pray that you change your mind and do so at least once during Lent. In regard to what org, chapel, hotel, basement etc. sounds like a true pharisee so covetous of his gold plated temple, that he would never go worship a baby in a stable in Bethlehem (surely no messiah would be poor/weak), or go out to the desert to listen to the ravings of John the Baptist when could be safe, comfortable and rich in the King's Palace Temple, but then again you would miss the Messiah and you would never get fed, because Jesus only fed those who picked up their cross and followed Him into the desert. The sudden burning down of Notre Dame might bring to your mind the destruction of the Temple in 70 A.D. or Jesus' words to his apostles about the destruction of Jerusalem. The apostles were not ashamed to worship God in private homes or in catacombs. I would be more concerned that everyone who stayed in Jerusalem was killed in 70 AD and the same w/Sodom. Fear God and don't congregate w/the wicked (psalm 1/proverbs 1). My conscience is clear. I don’t owe someone like you obedience.